If you’ve experienced even a few sleepless nights, then you know just how much of an impact lack of sleep can have on your life. There’s nothing worse than the tossing and turning throughout the night, just to wake up feeling like you only had two hours of sleep. You wake up feeling drowsy and unmotivated, and you are more likely to make poor choices throughout the day, such as overeating. Lack of sleep has a negative effect on your mood, energy, health, productivity, and overall day-to-day quality of life. While some people lack sleep due to simply staying up too late, many people suffer from sleep disorders. According to the ASA (American Sleep Association), 50-70 million adults in the US suffer from a sleep disorder. Insomnia is the most common sleep order, with 30% of adults suffering from short-term insomnia and 10% suffering from chronic insomnia, according to the ASA. Lack of sleep and sleep disorders are caused by a number of things, including poor choices (staying up late), stress, anxiety, and poor air quality containing mold, pollution, and other pollutants. One of the best and natural ways to improve the quality of your sleep is by filling your home with sleep-promoting plants. These plants not only add style and beauty to your home, but provide you with other benefits, such as air purification and helping you relax. Many plants have the ability to promote calmness and relaxation. You might’ve already heard of the benefits of lavender, but there are other plants that have a similar benefit as well. As proven by a study by NASA, plants also act as a natural air purifier, removing contaminants and pollutants (such as mold and odor) from the the air, thus helping you get a better night’s rest. 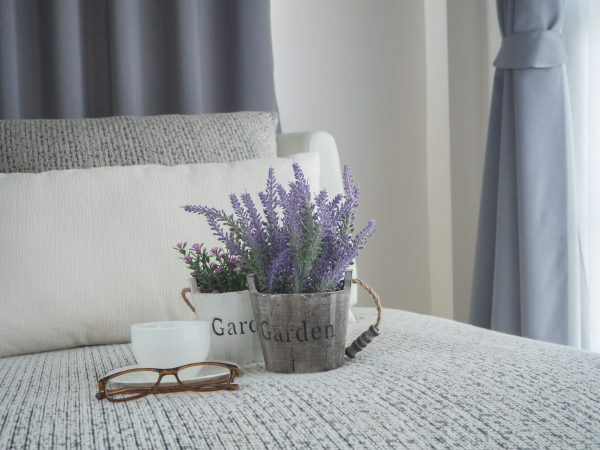 If you suffer from a sleep disorder or simply want to improve the quality of your sleep, here are 12 plants for your bedroom to help you sleep better and treat insomnia, naturally. When you hear the word “lavender,” you might automatically think of the shade of purple. However, this plant is much more than a color on the color wheel. It is commonly used to treat a number of health-related issues, including eczema, asthma, and anxiety. Lavender is also widely recognized as a great remedy for sleep disorders such as insomnia. 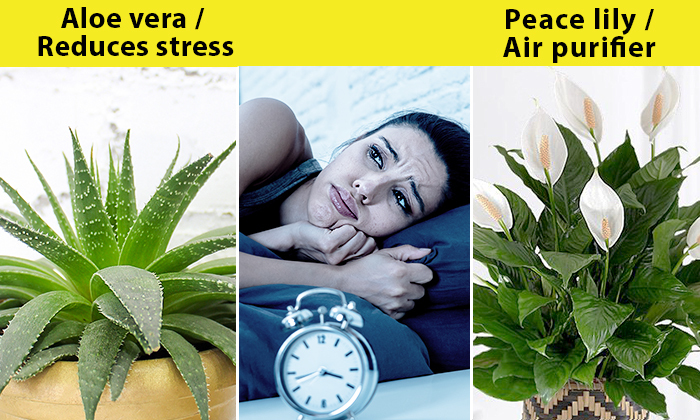 Having these plants in your room has been shown to help you relax by lowering your blood pressure and heart rate. They can even lower your levels of cortisol, further improving your ability to relax by reducing stress. Science facts aside, these flowers simply smell amazing, and the smell alone can put even a grouchy baby to sleep! Just like lavender, the jasmine flower scent has the ability to reduce stress and anxiety, thus improving your ability to get a good night’s rest. 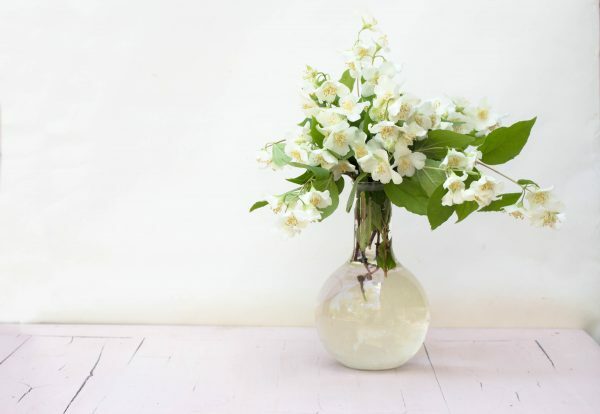 To make things even better, jasmine has also been shown to help you wake up feeling more alert and energized. Having this flower in the vicinity of your bed will give you the full benefits, and just like lavender, it smells amazing. 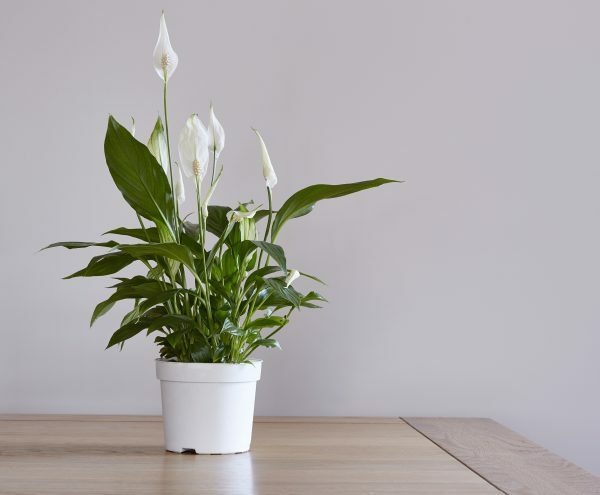 The peace lily is a powerhouse plant when it comes to air purification. It is known to detoxify the air of harmful contaminants such as formaldehyde, benzene, and trichloroethylene. It is also great for increasing humidity in the air. If you suffer from eczema, dry skin, or live in colder regions, this just may be the plant for you. This famous plant is most commonly known for its ability to alleviate burns and strengthen your immune system. It’s now also widely available in the form of lotions, juices, and infused in clothing. But did you know that aloe vera can also help you reduce stress and get better sleep? 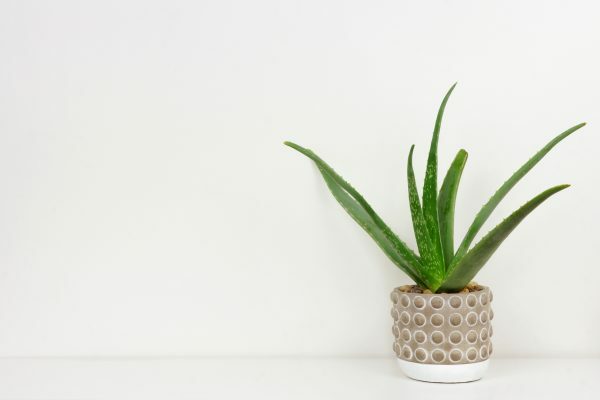 It’s great to have in your room because, unlike many other plants that release carbon dioxide at night, aloe vera plants actually release oxygen, improving the air quality in your room and improving sleep. Bonus: If you burn yourself in the kitchen or get a cut, your aloe vera plant will be there ready to help you with its medicinal properties. Much like aloe vera, the snake plant is a sturdy house plant that purifies the air, even while you sleep. This plant releases oxygen throughout the night while absorbing harmful contaminants in the air. However, this plant is probably known best for it’s undying (literally) longevity. It thrives in anything from direct sunlight to the most dimly-lit corner of your room, and actually prefers to be underwatered. Too much water can cause the roots of this plant to rot, eventually killing the plant. 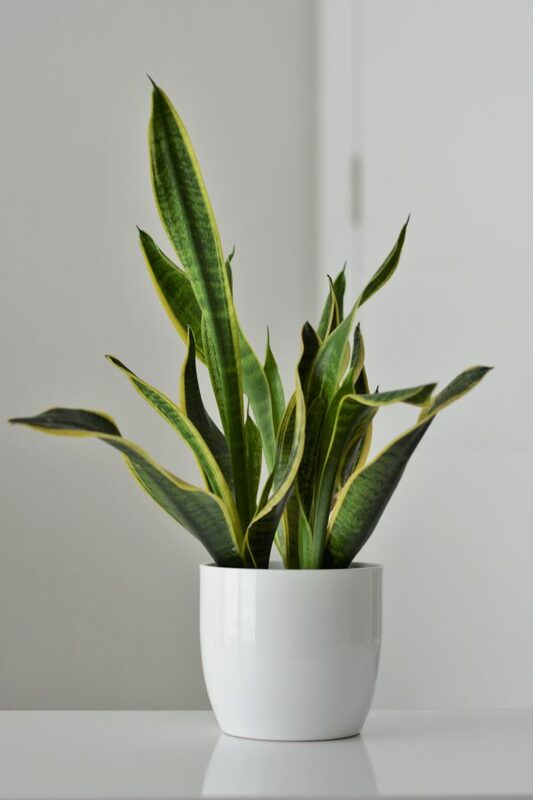 The snake plant is perfect for busy people! 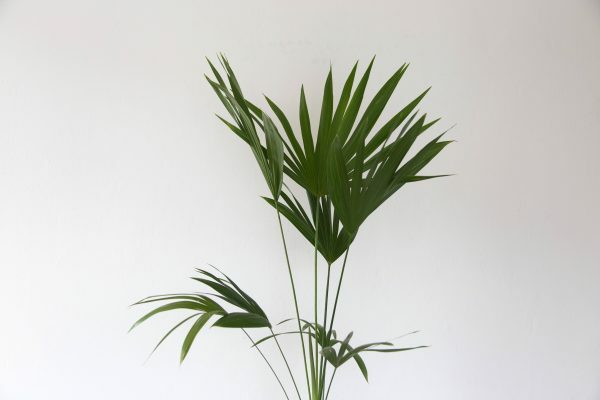 This plant has no scent, but is easy to maintain and has amazing air purification qualities. In fact, in NASA’s study, they found that the spider plant has the ability to remove up to 90% of the formaldehyde in a room. That’s reason enough to have a few spider plants in your room. 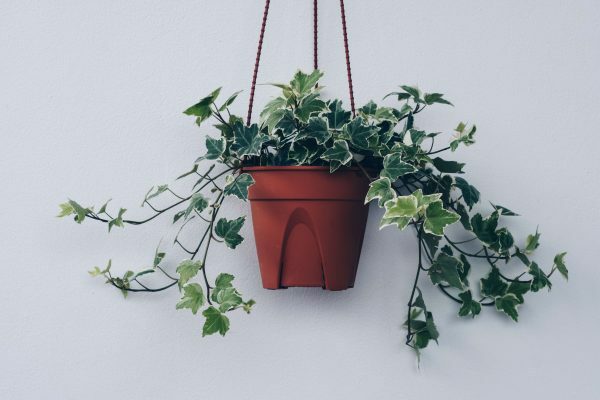 While English ivy does purify the air of contaminants such as formaldehyde, it also has the amazing benefit of reducing mold spores in the air, further improving air quality. People with allergies and/or high mold presence in their room can benefit from having this plant in their room. Just like the golden pothos, this vine plant can be conveniently placed in smaller areas out of reach. 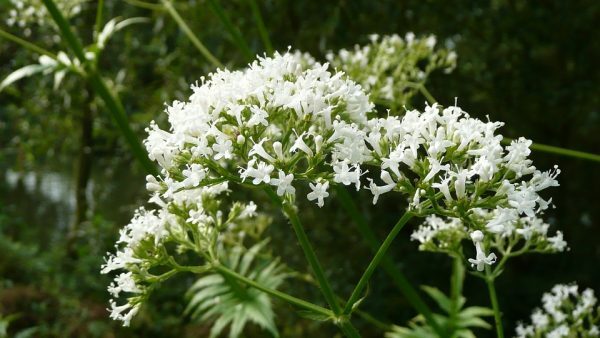 The Valerian is a flowering plant with pink or white flowers. Although lesser known, this plant is quickly gaining popularity as it comes with many benefits. It’s been used as a herbal medicine since ancient Greek and Roman times and has the ability to help with insomnia, anxiety, nervous disorders, and improving heart health. Already an extremely popular houseplant, the golden pothos offers even more bang for your buck than you might’ve known. 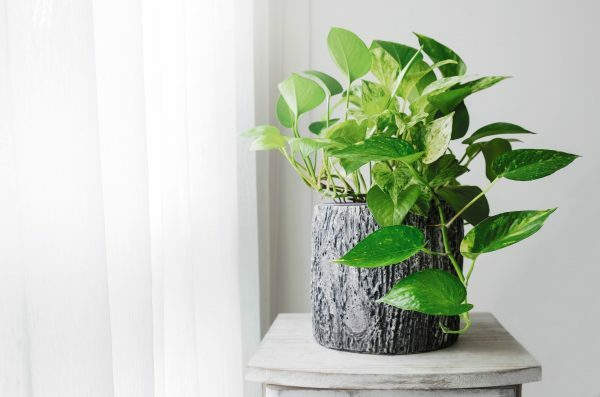 In NASA’s study on the sleep benefits of houseplants, they recommended golden pothos because of its ease of care, convenience, and ability to purify the air. This plant requires very little care, only needing a few hours of sun a day and a weekly watering. Since it’s a vine plant, you can simply put it on the end of your mantle or nightstand and allow it to cascade down. 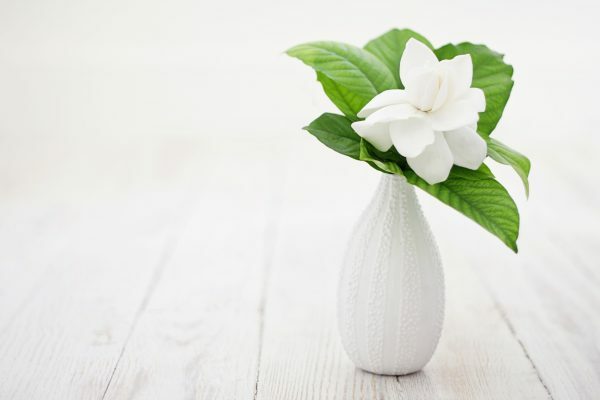 Just like the lavender and jasmine plants, the gardenia has an amazing floral scent. 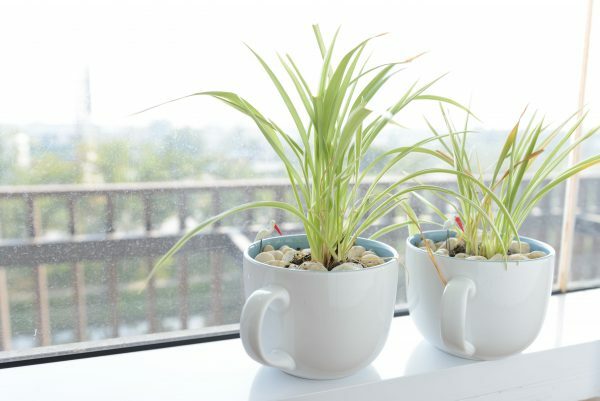 Simply having these plants near your bedside can help improve your sleep quality. The scent is known to have sedative effects and can potentially even replace sleeping pills after some time. Bamboo palms are unique in that: not only do they help purify the air of toxins, but they also act as a natural air freshener! These plants are known to absorb odors in the room while giving off a subtle, minty scent. With this plant, you no longer need to buy air freshener sprays (which actually add chemicals into your home). Gerber daisies are beautiful flowers that come in a wide range of colors. They are not only great for adding color to your home but also come with great sleep benefits. 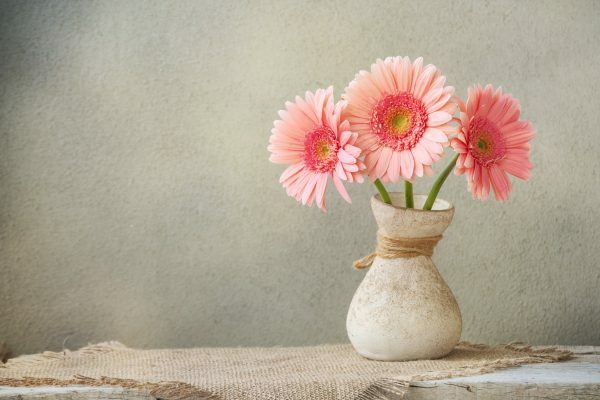 Just like the aloe vera and snake plant, the Gerber daisy releases oxygen and absorbs carbon dioxide as well as other toxins throughout the night. We do it for beauty, we do it like babies; deeper is better, and all we ever want is five more minutes of it.